Here at Familyzone Learning we help children as young as 5 and adults as old as 60 from all over South Africa. The key to our approach is to unlock, master and control the natural talent of visual thinking. This visual thinking ability is present in about 15 – 20% of the population. 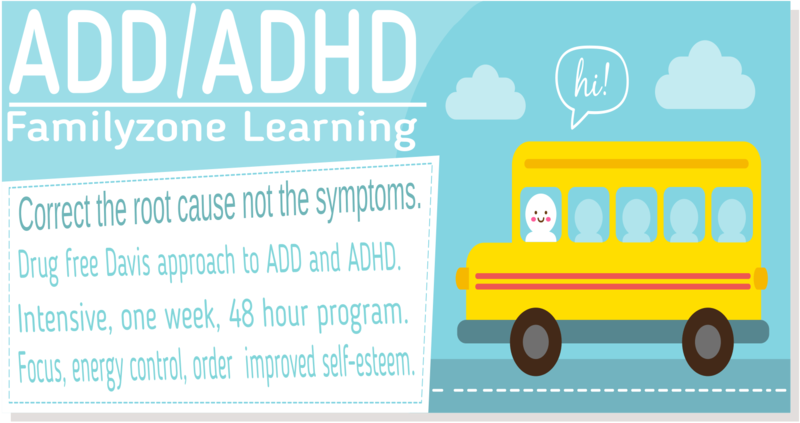 The resulting effects of a visual thinking learning style is also associated with ADD and ADHD. The three programs Familyzone Learning offer is based on a method developed by Ronald Davis. The Davis methods works at a root level of the problem, not merely with the symptoms. It is a long-lasting, effective, drug free procedure. The Davis programs for Dyslexia, ADD, ADHD and Math is one of a few programs available in South Africa that is proven to be effective through research conducted by both South African and international universities. The program is structured in such a way that you or your child will receive 30 or more hours of intensive, uninterrupted one-on-one therapy. We do not rely on weekly repeat visits, reading gimmicks, special apparatus or medication. We rather focus on the root of the problem resulting in an improvement within one week that lasts a lifetime. Ronita from Familyzone Learning facilitates each program in either Afrikaans or English. The program can be facilitated in any other language by means of a interpreter. Each program is presented over five or more days and thus eliminates weekly repeat visits. A 30-hour (5 days) intensive one-on-one program. 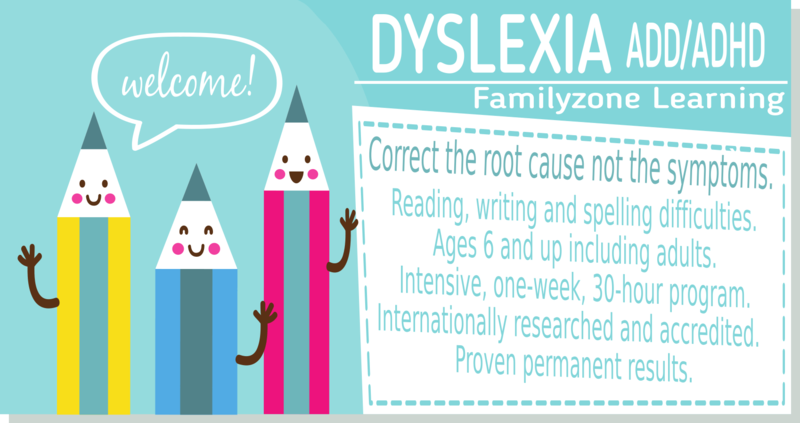 The Davis Dyslexia correction program will address root cause of dyslexia leading to improved spelling, reading and speaking. A 48 hour (8 days) one-on-one program. The Davis Attention Mastery program teaches you to stay focused, relaxed and in control of your energy levels. You also master important life skills and learn how to apply them to everyday situations in class, at work or at home. Resulting in a drug-free solution to ADD and ADHD. 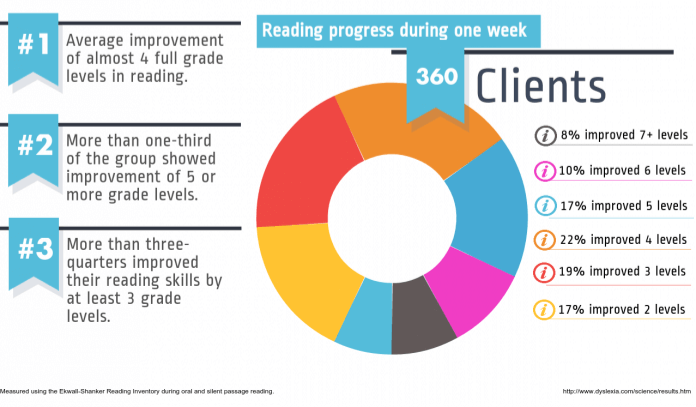 The Davis Math Mastery program will equip a client with tools for mastering mathematics. The program will allow the visual thinker to master foundation concepts that is not possible with traditional teaching methods. It takes dedication and hard work to become a registered Davis Correction® Facilitator. Before being allowed to facilitate the Davis programs Ronita completed over 400 hours of theoretical and practical work in both South Africa and the United Kingdom. On completion of her training and assessment Ronita became the first registered facilitator in Gauteng. To maintain good standing all facilitators are subjected to periodic reviews and must uphold a strict code of conduct as set out by Davis Dyslexia International. 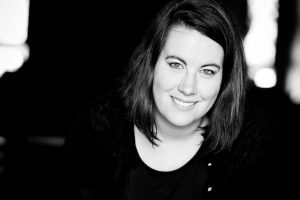 She uses her knowledge on the Davis method; strengthened by a Psychology Honors degree, her Educational Psychology Honors degree and a PGCE specializing in Mathematics to facilitate the different programs provided by Familyzone Learning. We have 2 different office locations in Gauteng. Our main office is located near Melrose Arch convenient for clients from Sandton, Rosebank, Randburg, Darrenwood, Cresta, Northcliff, Fourways and surrounding areas. Our second location in Centurion Tshwane is suitable for clients residing in Centurion, Midrand, Pretoria and surrounds including Brits and Rustenburg. In addition Ronita often travels by prior arrangement to other provinces in South Africa. 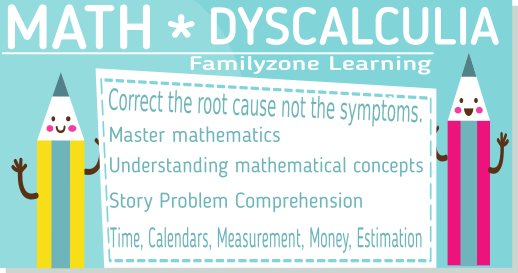 The Familyzone Learning team realizes how difficult it may be for the parents of children with Dyslexia or ADHD/ADD. Thus, we provide and facilitate a Facebook support page. Feel free to post and interact with others. If you would like to remain anonymous you can post to the page directly from the website by clicking here.